The vast majority of we Americans who trace our ancestry back to the Schmidt family of Machtlos, Germany have an unlikely character to thank for us being where we are today. Her name was Anna Martha (Schmidt) Rimbach. She was born in Germany and she died in Germany, yet without her we would not be Americans today. Anna Martha Schmidt was born on July 11th, 1827 in the village of Machtlos in the Electorate of Hesse (there was no unified country of Germany back then). She was the daughter of the linen weaver and tar hauler Dietrich Schmidt (1803-1847) and his wife, Sophia (Schmidt) Schmidt (1804-1857). Her baptism sponsor, whom she was named after, was her aunt (her father’s sister), the unmarried Anna Martha Schmidt. She was born into a household with two older sisters, and would ultimately see 7 younger siblings (2 more sisters, and 5 brothers) born. As a child, Anna Martha would have helped her mother with the myriad housework, as well as helping with the family linen weaving business (including everything from farming the flax crop to weaving the finished linen fibers). Growing up, Anna Martha would have seen several of her cousins emigrate from Germany and settle across America, most of them sending back favorable reports about wide-open, fertile farmland ripe for the taking and fortunes to be made. Atop this would have been flyers and advertisements blanketing the Hessian villages, beckoning would-be immigrants to come to America. 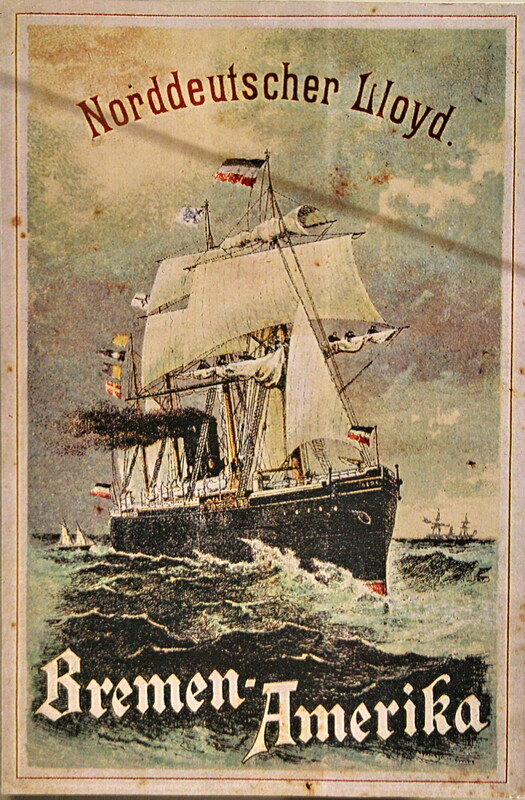 Many of these advertisements were printed up by ship companies who wanted to sell as many ship tickets to America as possible. By 1850, at about 22 or 23 years of age, Anna Martha had decided to immigrate to America. The circumstances that called this young lady to leave everything behind for a foreign land are not known. Perhaps one of their distant relatives who had already settled in America had sent back money for her to come to America also. Perhaps she was just young and adventurous, seeking to get away and see the world. Perhaps she was determined to become wealthy in the New World and send that money back to her family in Germany to ease their life of perpetual manual labor (her father, Dietrich, had died young in 1847, leaving her mother Sophia to take care of a household of 10 children). Or, perhaps most likely, Anna Martha had been pre-arranged to marry someone, and since he had already immigrated to America, she was obligated to go join him. Perhaps it was a combination of all of the above. Toward the end of the summer of 1850, Anna Martha Schmidt began her 200-mile journey from Machtlos northward to the port city of Bremen. She was likely accompanied by family members or family friends who saw her off. 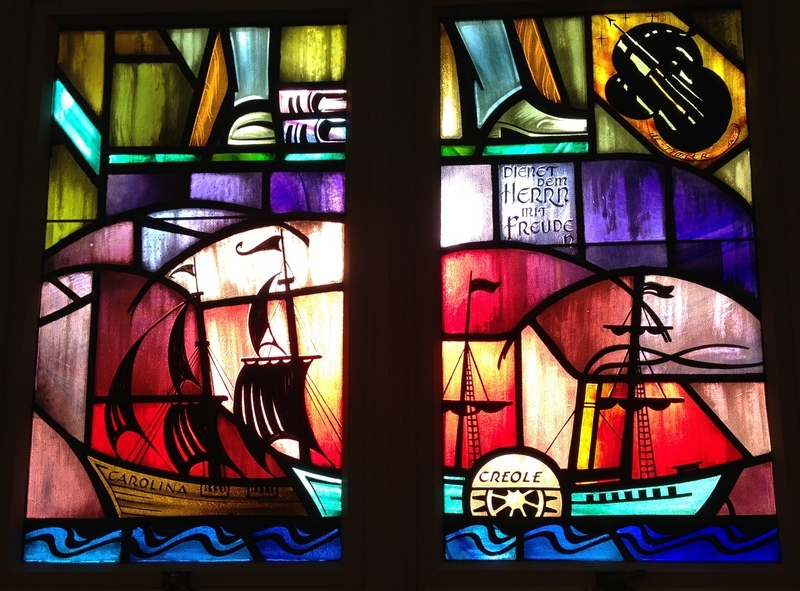 She boarded the ship Caroline in late September of 1850 and began what would have been a journey of two weeks or more. Ship rides in those days were not pleasant experiences — full of rocking and heaving (and the potential for dangerous storms, which could exacerbate this), claustrophobic, noisy, hot, smelling of unbathed human bodies and lavatories, with meals that consisted of a lot of bland gruel. 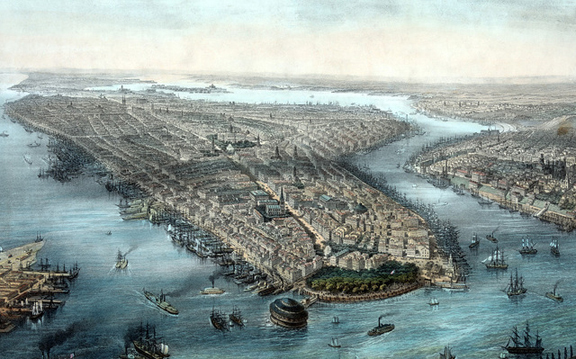 She would have undoubtedly been overjoyed to finally reach land when the Caroline docked at the New York harbor on Saturday, October 12th, 1850. Anna Martha made her way (most likely by train, but also possibly by carriage) northeast up to Boston, Massachusetts, where she joined a small enclave of German immigrants amongst a heavily Irish working-class neighborhood. The weather of Boston would have seemed familiar, due to the city being at a similar latitude with the part of Germany she called home. The crowded urban lifestyle (which would have grown more crowded by the day, as thousands of Irish immigrants were pouring onto the American East Coast to escape Ireland’s potato famine at this time), as well as the strange culture and language of their Irish-Catholic neighbors, would have been a jarring adjustment for a girl from a peaceful forest village of 200-some people (Boston had a population of nearly 140,000 at that time). For a year, she would have likely made her living doing what she knew best–housework and working with her hands. 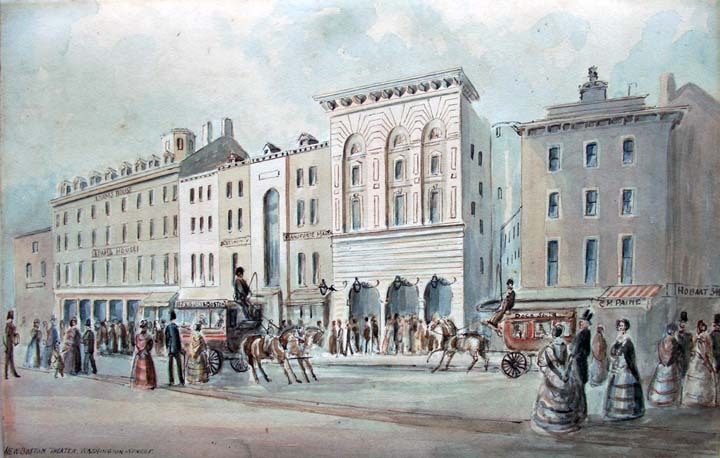 For fun, John and Anna Martha Rimbach may have patronized musical performances at the New Boston Theater, which was on the same street as their home and can be seen in the painting above. The year 1850 saw the beginning in earnest of the women’s rights movement in Worcester, Massachusetts, as well as the passage of the onerous Fugitive Slave Law that fanned the flames of abolitionism in the North. 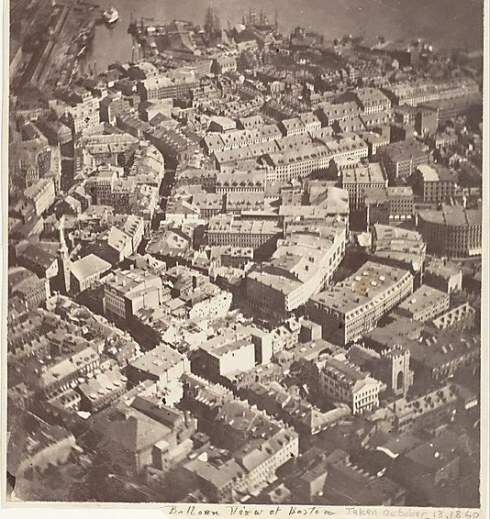 Boston in the mid-1800s was also the mecca of a golden age of literary giants. John and Anna Martha Rimbach would have been walking the same streets simultaneously with renowned authors (nicknamed the “Boston Brahmins”) like Nathaniel Hawthorne, Oliver Wendell Holmes, James Lowell and Julia Howe. In the dead cold of winter, on Thursday, January 13th, 1853, Anna Martha (Schmidt) Rimbach gave birth to their first child, a daughter, Elizabeth. The Rimbach family seemed to do decently well for themselves in the shoemaking trade, seeing as in 1853, Anna Martha (Schmidt) Rimbach sent enough money back to Germany for her younger brother, Balthasar Ludwig Schmidt, to come join them in America. He did so that year, around his 18th birthday, coming to live with his sister in Boston, where he joined his brother-in-law Johannes “John” Rimbach in the shoe and boot making profession. With the birth of John and Anna Martha’s second child, another daughter, Catherine, born on Monday, October 2nd, 1854, Anna Martha must have felt that life seemed to be finally coming together. They started to take to their new American identity, with Anna Martha adopting the more American-sounding nickname “Hannah,” and her brother Balthasar Ludwig adopting the much more American-sounding nickname “Louis”. Together, the two siblings soon saved up enough money to send for yet another family member–their younger sister, Martha Catharina Schmidt, who joined them in Boston in 1855. Things began to unravel, however, in the summer of 1856. Anna Martha’s youngest daughter, Catherine Rimbach, just a year and a half old, showed a worrisome swelling on her head (likely around her eyes) that refused to go away and kept growing. Catherine had developed an edema, a collection of fluid in the tissue of her head, a condition they called “Dropsy” in those days. It was likely the result of an underlying disease of the liver, kidneys, or heart. 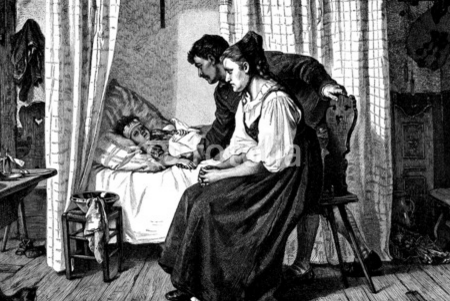 Catherine died on Saturday, 14 June 1856, just four months shy of her second birthday. Joy returned to their household with the birth of their third daughter, Anna Martha Wilhelmina “Mena” Rimbach, who was born on Sunday, April 5th, 1857. Anna Martha “Hannah” (Schmidt) Rimbach and her two newly-American siblings sent money for a fourth sibling, their young brother Herman Schmidt, to come to America in November of 1857. 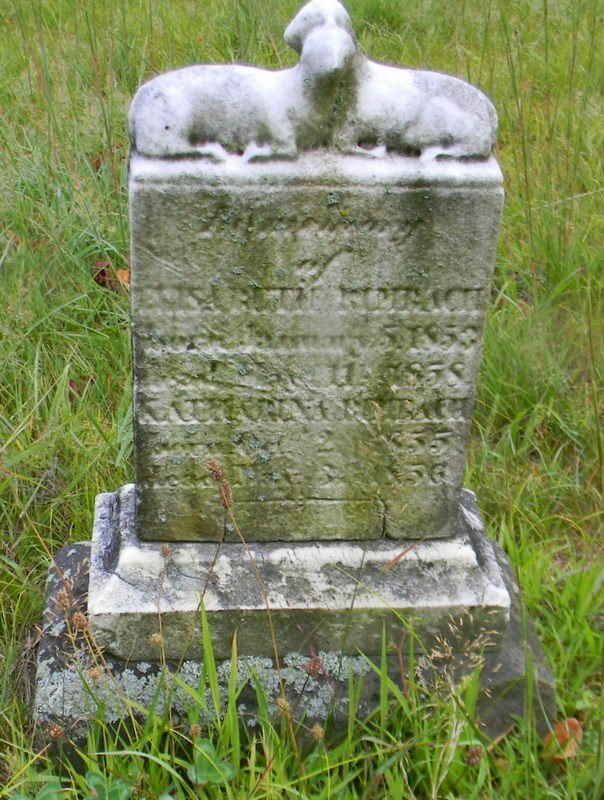 Tragedy struck again soon after, however, as John and Anna Martha “Hannah” Rimbach’s eldest daughter, Elizabeth Rimbach, was stricken with typhoid fever, and subsequently died on Tuesday, May 11th, 1858, at the age of 5 years old. The two children were buried in Mount Hope Cemetery. As tragedies began to fall upon the Rimbach household, so the situation of the nation began to deteriorate. Speculation in railroad stocks fueled an economic boom-bust that resulted in a recession in 1857, which hit the Northeast particularly hard and would have been a blow to John Rimbach’s shoe and boot making business. On March 6th, 1857, the US Supreme Court decided by a 7 to 2 margin the Dred Scott v. Sanford ruling, which ruled that slaves had no right to citizenship even if they made it to free territory, and that slavery was allowed to expand to the newly developing territories of the West. This roiled Northerners and threw the country deeper into conflict. With the issue of slavery and economic fighting over tariffs driving the North and South further apart, the gears began turning toward civil war. On Sunday, March 27th, 1859, John and Anna Martha (Schmidt) Rimbach’s fourth child, Justus Rimbach, was born. The economy began to improve, but was soon plunged back into recession in 1860. In December of 1860, South Carolina became the first Southern state to secede from the Union, and over the ensuing months, state after state joined them, combining together as the Confederate States of America on February 4th, 1861. 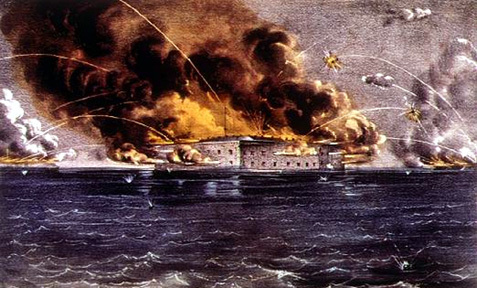 Two months later, tensions between the North and South erupted into battle at Fort Sumter and war was declared. A matter of days following the Battle of Ft. Sumter, Anna Martha’s younger brother Herman Schmidt, living in New York City at the time, disappeared. Herman had enlisted in the Union Army under an alias, so that his siblings would not worry about his safety. Having been lucky enough to live through the German Revolutions of 1848 unscathed, the Rimbachs were not about to risk John being conscripted into an army, nor were they about to risk allowing war to come to their doorstep. 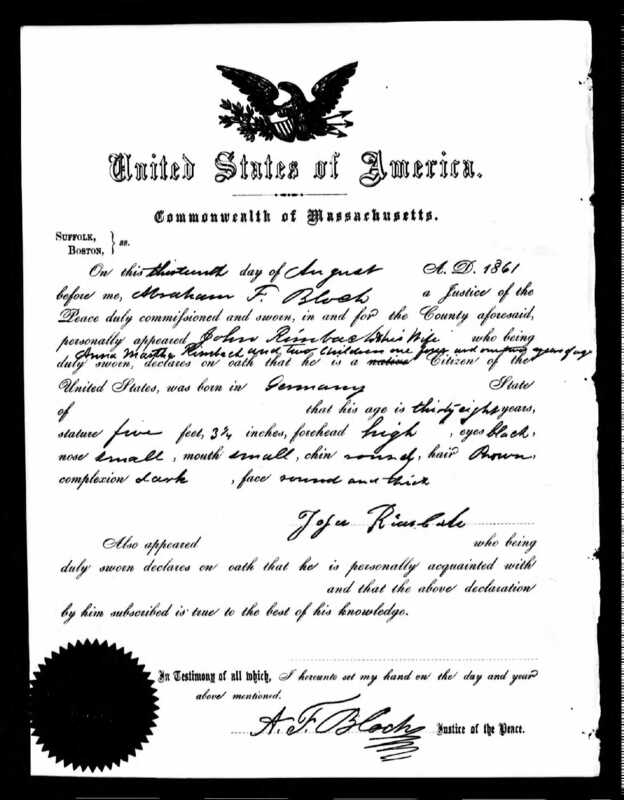 Moreover, having had enough of the urban life of Boston, the economic recessions, and the deaths of two of their four children, they applied for a passport to leave the country on August 13th, 1861. It was approved on August 30th, and they wasted no time in fleeing America. They were not alone. In 1859, 4.7% of those leaving America were disillusioned immigrants returning to their homeland, and that percent would reach as high as 50% at various points during the 1800s (although the number of immigrants coming in to America always far outpaced those leaving). While Anna Martha’s American siblings went on to lead thrilling lives of war and enterprise in the States, Johannes “John” and Anna Martha (Schmidt) Rimbach settled back in Johannes’s old hometown of Blankenbach. It would have been a whiplash-inducing change of pace to come from city life in wartime America to return to the quiet agrarian village life of rural Hesse. Johannes and Anna Martha set back to work building their family, having a fifth child, a son, Johannes Rimbach Jr., on Monday, February 10th, 1862. Johannes Jr. was named after his baptism sponsor, Johannes Wetterau the farmer. 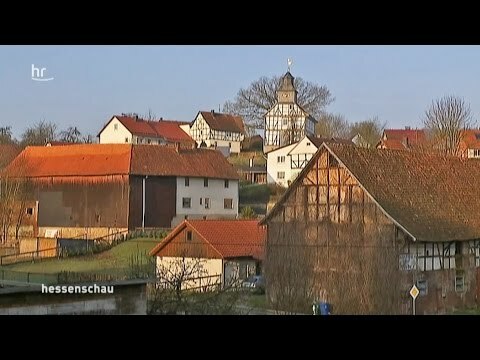 While village life in the German countryside was definitely more peaceful, they did not have the opportunity that America afforded them. Due to Germany’s rigid community system of guilds and economic protectionism, Johannes found it difficult to make his primary living as a shoemaker any longer. 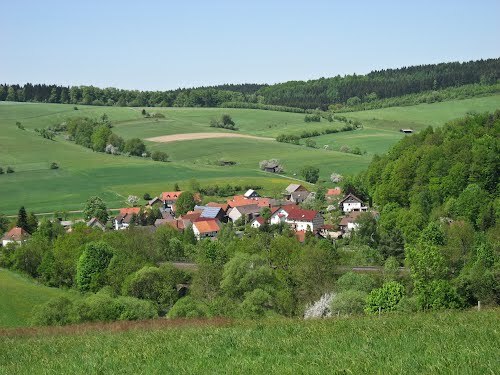 He did, however, have enough money saved up from his American days to purchase some available farmland in the nearby town of Rautenhausen, Germany. Being a full-time farmer (which was considered a luxury in Germany in those days), and having an eggnest of savings from their time in America, the Rimbachs would have been one of the more well-to-do families in Rautenhausen. Rautenhausen lies about 13 miles west of Blankenbach. They would discover that even back home in Germany, they were not immune to tragedy. Their American-born son, Justus Rimbach, died at the age of 7 on Thursday, March 14th, 1867 in Rautenhausen. Two years later, Johannes and Anna Martha were surprised with their sixth and final child, Paul Carl Rimbach, when Anna Martha was 42 years old. Paul Carl Rimbach was born in Rautenhausen on Saturday, August 21st, 1869. Paul Carl was named after his baptism sponsor, Paul Stephan, the farmer and mayor of Rautenhausen. Though Anna Martha was back in Germany to stay, what she started in America had taken on a life of its own. In the 1880s, another one of her younger siblings, brother Conrad Jacob Schmidt, and a couple of her nephews, Georg Karl and Wilhelm Conrad Schmidt (sons of Dietrich Schmidt Jr.), also immigrated to America, this time settling on the fertile farmland of Iowa. Anna Martha (Schmidt) Rimbach died at her home in Rautenhausen, Germany at the age of 59, on the cold winter day of Thursday, January 20th, 1887. She was buried in the Rautenhausen cemetery three days later by her surviving husband and children. The widower, Johannes Rimbach Sr., lived on in Rautenhausen until July 21st, 1900. Johannes and Anna Martha’s three adult children married and had families of their own: Anna Martha Wilhelmina Rimbach (1857-1886), the last of the American-born children, married Heinrich Schmidt (no relation) of Schwarzenhasel; Johannes Rimbach Jr. (1862-1939) married Elisabeth Apel in Rautenhausen; Paul Carl Rimbach (1869-????) married Katharina Elisabeth Meister in Breitzbach. 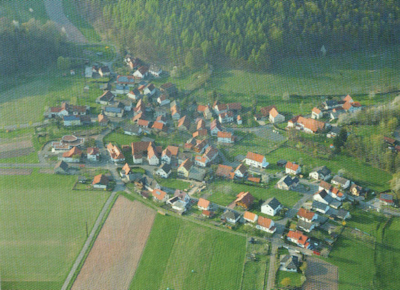 Descendants of Johannes Jr. and Paul Carl bearing the surname Rimbach still populate the towns of Rautenhausen and Breitzbach today, the great grandchildren of Anna Martha (Schmidt) Rimbach, a former American immigrant who worked and sacrificed in order to bring others to the land of freedom and opportunity, although she could not stay there herself. Help honor the legacy of aunt Anna Martha (Schmidt) Rimbach at the world record breaking Schmidt Family Reunion in Spencer, Iowa on July 30-31, 2016. RSVP today for the reunion! Enjoyed reading this extensive research. Joey, I’m trying to find out more about my paternal grandfather’s Uncle Louis Salis; particularly re: a mandamus involving the school board of JAX after they kicked his kids out of school for not being white enough. Joy Salis and Robert Morris posted a portion of the1922 article, which stated that according to Florida law, any person who has 1/8th blood other than white causes them to legally be considered nonwhite. I’d like to know the decision rendered. Can you please help?